With the introduction of these plans, the old ones will no longer be available. 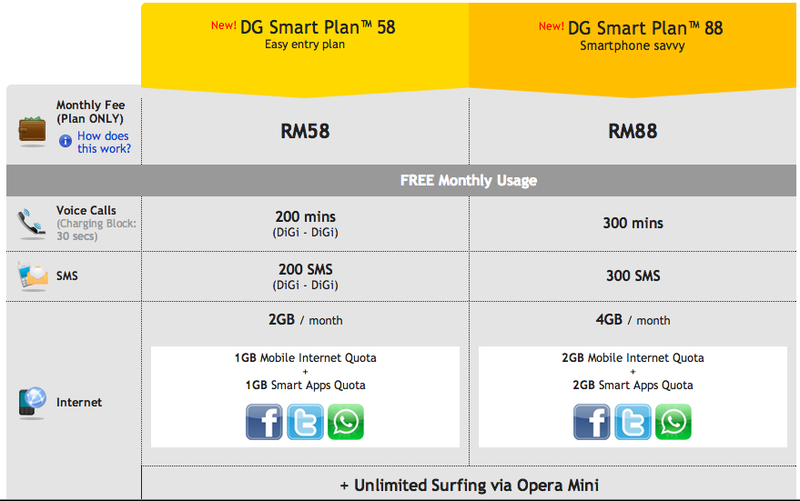 All new phone bundles from DiGi will come with these new plans instead. It looks like DiGi has also given its phone bundle a good cleanup; the telco is now only offering very limited devices including the latest ones – Samsung Galaxy S III, Galaxy Note II, Galaxy Note 10.1, Galaxy Tab 2, HTC One X, HTC Butterfly, Nexus 4, iPhone 5, and iPad. More information available over at DiGi.